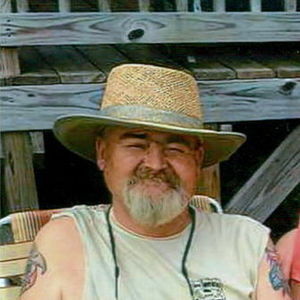 Johnny Ray Russ, 57, of Bladenboro passed away on Wednesday, February 13, 2019. He was preceded in death by his father: Robert Charles "R.C." Russ and mother: Lois "Peggy" McLamb and step-father: David McLamb, one daughter: Courtney Lynn Russ, and brother-in-law: Ricky Carroll. Johnny is survived by his loving wife: Paula G. Russ of the home; one son: Cory Russ and wife Jennifer of Dublin; one brother: Robert Charles Russ Jr. of Ledyard, CT; one sister: Brenda R. Britt and husband James of Lumberton; four grandchildren: John Dylan, Jailynn, Jacie and Jayla, two brothers-in-law: Lloyd Guyton (Pammy) and Stewart Carroll and wife Kim, one sister-in-law: Deanna Carroll, 11 nephews and nieces. Johnny was a family man. He loved his wife of 38 years, children and especially his precious grandchildren. Johnny, also known as the "Bugman" knew everything about pest control where he worked for 37 years. He enjoyed woodworking, fishing, camping, cooking, watching westerns on TV and singing. Johnny had a great sense of humor, loved talking "junk" to everyone. His vibrant personality and contagious smile will be missed a great deal. A graveside service will be held on Monday, February 18th at 11:00 am in Old Pait Cemetery in Bladenboro. The family will receive friends at the home of his son, Cory Russ, 122 Rice Pond Rd. Dublin. Add your thoughts, prayers or a condolence to Johnny's guestbook.